Two years later, LucasArts is now admitting that it could have done a better job when making the PS3 build of The Force Unleashed. 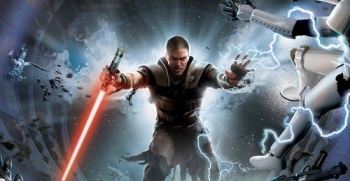 LucasArts has revealed why so many people claim the Xbox 360 version of The Force Unleashed is better than the game's PlayStation 3 build: It is better. The developer/publisher also explained that The Force Unleashed 2 won't have any of these problems. "For me I think I like putting builds on the 360, it's a lot faster," said producer Cameron Suey in an interview with Computer and Video Games. "There were times, especially on the original Force Unleashed, where on the PS3, we weren't quite up to speed. But now I think [360 and PS3 are] so hand in hand that every change we make is tested on both at the same time, side-by-side throughout the whole thing." [The] worst thing about The Force Unleashed is how buggy it is. Aside from the aforementioned problems, I also encountered things like textures randomly popping in and out of view, a boss battle where my adversary's health bar disappeared (thus making it unkillable), and some severe instances of frame rate stuttering when the action gets particularly hectic. I'm not one to demand perfection from a game, but I do expect developers to be courteous enough to deliver a finished product that will not break and force me to restart my system. I wound up playing the 360 edition of The Force Unleashed a few months after I wrote the review and found myself liking that version much more. It wasn't perfect, but it lacked any of the crippling bugs I'd originally encountered and allowed me to enjoy the best Star Wars plot I'd come across in a long time. If the sequel manages to provide the same sort of experience, I'll be relatively happy, although I'd be happier if it manages to deliver an even better product.